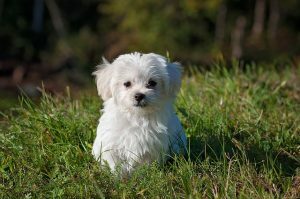 When it comes to your pet’s health, we all want to ensure that our animals are happy and healthy for a long time to come. We can tell if they are in pain when they exhibit symptoms such as redness, swelling, heat pain and even loss of function within their limbs. It may be surprising, but inflammation is critical for good health – especially your pet’s health. It’s only when this gets out of control that the most damage can occur. The reactions, such as heat pain, redness and swelling, recognise that inflammation is a part of this healing process. This is the way that the body can effectively repair itself. Tissue damage causes inflammation and this is often the result of traumas or infections. Majority of defense cells and chemicals are found within the bloodstream. When an injury occurs, an important sequence of events is initiated. The result is that the blood vessels dilate and become leaky. This allows the defensive cells and substances to arrive at the site of injury very quickly. If no inflammation occurred, then the immune system can’t respond properly. The body then becomes incapable of healing effectively after an injury. This is when a health problem can become ongoing or even chronic. 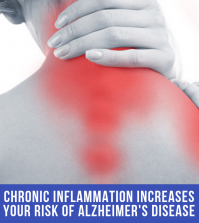 When the inflammation is chronic, that’s when health problems start to manifest. As the situation becomes ongoing, the injury or infection prevents the inflammation from being resolved. In other situations, the processes that turn off inflammation can lead to chronic inflammation. This effectively fails to stop the inflammatory process. Poor adrenal function contributes to low cortisol production. This causes ineffective dampening of the inflammation. Being deficient in nutrients also inadequately controls the inflammation. Many doctors give these pets antibiotics to effectively control a bacterial infection. 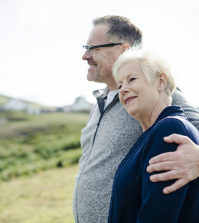 They may also prescribe Non-steroidal Anti-inflammatory Drugs (NSAIDs) for treating their osteoarthritis. These are anti-inflammatory and may help to reduce pain in a number of conditions. Yet they also have many negative side effects, such as indigestion, stomach upsets, stomach pain, ulcers and bleeding within the stomach. 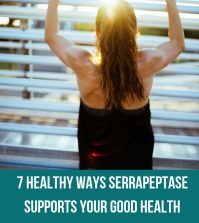 A safer way to manage inflammation is to use a natural method such as by taking Serrapeptase. This is a naturally occurring proteolytic enzyme that can dissolve inflammation without the use of drugs or other chemical methods. Giving animals Serrapeptase is a safe and effective solution for managing their painful symptoms. It allows our pets to experience relief from a wide variety of health problems. For best results, please follow the Serrapeptase Animal Health Recovery Plan. 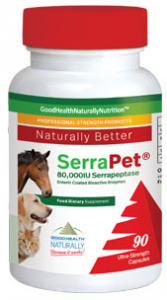 SerraPet – This organic proteolytic enzyme supports many of the body’s normal processes. It can help to promote your pet’s inflammatory system health and support their healing, without any negative side effects. Giving 2-4 Serrapeptase tablets per day to your pet, depending upon its size, is helpful to alleviate symptoms.